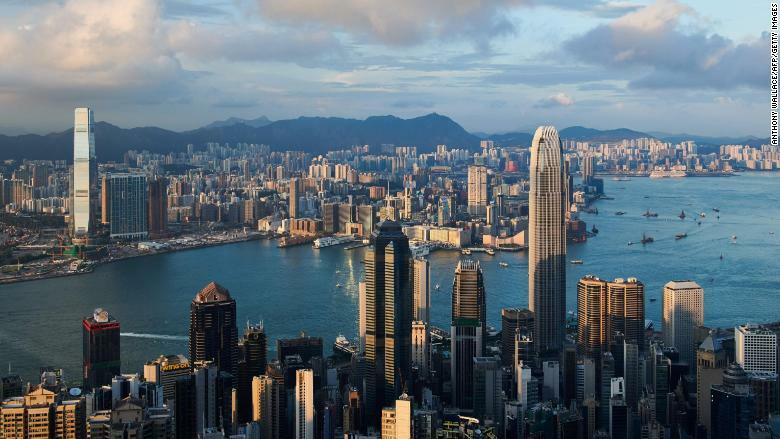 A Hong Kong tycoon has sold his stake in a 73-story skyscraper for a record price. Li Ka-shing's CK Asset Holdings confirmed Wednesday that it had sold his interest in The Center, the fifth-tallest building in Hong Kong, for $5.2 billion. That's a record for a commercial property in Hong Kong. CK Asset Holdings said it expects to make a profit of $1.9 billion. The buyer is C.H.M.T. Peaceful Development Asia Property Limited, an investment vehicle registered in the British Virgin Islands that was created for the purchase. The Center (C) is the fifth tallest building in Hong Kong. The sale is the latest move by Li, a self-made billionaire who will celebrate his 90th birthday in July, to unload pricey assets in Hong Kong. Li presides over an empire that spans ports, telecommunications and retail. But he got his start in property, snapping up real estate that was discounted following riots in Hong Kong in 1967. With a fortune estimated at $25 billion, Li is by far the richest man in Hong Kong, where he is known as "Superman." In recent years Li has jostled with property magnate Wang Jianlin and Alibaba founder Jack Ma for title of richest person in Asia. -- Kinnie Li and Daniel Shane contributed reporting.